Hackathon for Peace, Justice and Security goes live! The Data Science Initiative invites you to hack for Peace, Justice and Security. This is the second edition of our hackathon, and this year is going to be even bigger and better! Would you like to help organisations such as the UNICRI Centre for Artificial Intelligence and Robotics, Translators Without Borders and the National Rapporteur for Human Trafficking and Sexual Exploitation of Children with real global problems? Then apply now. You’ll have the opportunity to work with teams on interesting data sets, building solutions for global challenges. Besides the serious stuff, this is also a great networking opportunity and you will get to enjoy great food, fun distractions and relaxing massages. If you are not a hacker but want to be involved anyway? https://www.humanityhub.net/wp-content/uploads/2019/03/Screenshot-2019-04-23-at-13.51.45.png 1158 1930 Admin https://www.humanityhub.net/wp-content/uploads/2018/06/THHH_Logo-border-XS.png Admin2019-04-23 14:30:492019-04-23 14:32:32Hackathon for Peace, Justice and Security goes live! The Hague Humanity Hub is currently looking for a new member of the Supervisory Board, with the profile of professor or senior administrator from a knowledge institution with expertise in the field of peace, law and humanitarian action. The Hague Humanity Hub Foundation, established at the initiative of the municipality of The Hague at the end of 2017, aims to promote peace and justice worldwide by stimulating and facilitating innovation in the municipality of The Hague. To this end, the Hub promotes cooperation between (international) companies / startups, NGOs, knowledge institutions, and governments that are (or want to be) active in the ‘Peace and Justice’ domains. The Hub thus contributes to the ambition of the municipality of The Hague to be a global leader as a location for international organizations active in the fields of Peace and Justice. 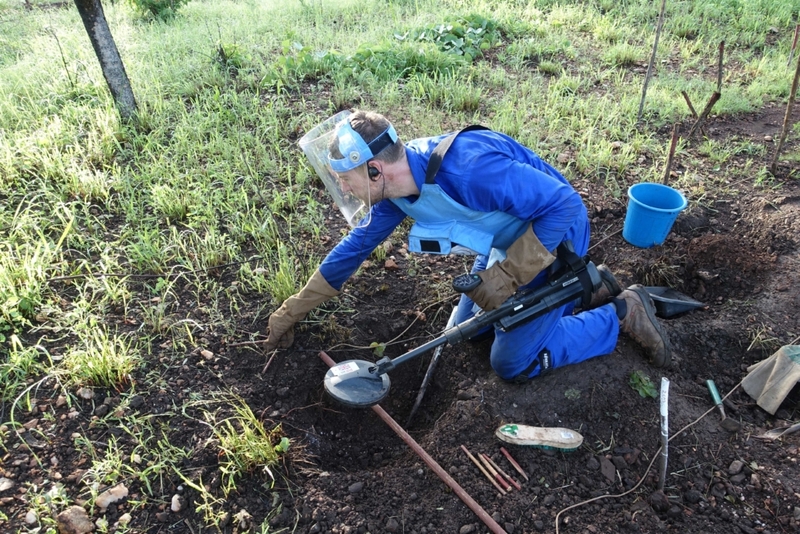 The foundation is funded by member contributions and an operating grant from the municipality. The foundation aims to become independent of subsidy from the municipality by 2022. The Supervisory Board monitors the management and provides advice and assistance in the realization of the objectives of the Foundation. The Board has 5 members and meets at least 4 times a year, not including one or two topical meetings. The members of the Supervisory Board receive a modest meeting and expense allowance. Sensitivity to political and societal context within which the Humanity Hub operates. If you fit this profile, we would like to hear from you. You can send your letter and curriculum vitae up to and including 1 May to jill.wilkinson@humanityhub.net quoting Vacancy RvT. More information via www.humanityhub.net or by telephone at Jill Wilkinson, Managing Director under 070-217 10 80. The Hague Humanity Hub is per direct op zoek naar een nieuw lid van zijn Raad van Toezicht, met het profiel hoogleraar of bestuurder vanuit een kennisinstelling met expertise op het gebied van vrede, recht en/of [humanitaire actie. Stichting The Hague Humanity Hub, opgericht op initiatief van de gemeente Den Haag eind 2017, stelt zich ten doel vrede en recht wereldwijd te bevorderen door innovatie te stimuleren en te faciliteren. Hiertoe biedt de Hub zowel een fysieke vestigings- en ontmoetingsplek in het centrum van Den Haag als programmatische activiteiten. Zodanig bevordert de Hub de samenwerking tussen (internationale) bedrijven/startups, NGO’s, kennisinstellingen en overheden die actief (willen) zijn in de domeinen ‘Vrede en Recht’. De Hub levert hiermee een bijdrage aan de ambitie van de gemeente Den Haag om als wereldwijd toonaangevende Stad van Vrede en Recht een aantrekkelijk locatie te zijn voor internationale organisaties actief binnen deze domeinen. De stichting bekostigt zichzelf door deelnemersbijdragen, verhuur en een exploitatiesubsidie van de gemeente. De doelstelling is om 2022 op eigen benen te staan. De Raad van Toezicht van The Hague Humanity Hub controleert het bestuur van de stichting en staat deze met raad en daad terzijde in de realisatie van het doel van de stichting. De Raad heeft 5 leden en vergadert 4 keer per jaar, exclusief een of twee themavergaderingen. De leden van Raad van Toezicht ontvangen een niet bovenmatige vergadervergoeding en onkostenvergoeding. Als u zich in dit profiel herkent, horen wij graag van u.
Uw motivatie en curriculum vitae kunt u tot en met uiterlijk 1 mei versturen naar jill.wilkinson@humanityhub.net onder vermelding van ‘Vacature RvT’. Meer informatie via www.humanityhub.net of telefonisch bij Jill Wilkinson, Managing Director onder 070-217 10 80. This report presents the third in a series of yearly reports produced by Hub member Institute for Economics and Peace on Sustainable Development Goal 16 (SDG16), which measures peace, justice and strong institutions. Experience from the Millennium Development Goals (MDGs) shows that development is hindered by low peace and weak institutions. As such, in the UN 2030 Agenda on Sustainable Development, SDG16 is considered fundamental to achievements in many of the other SDGs. Your Funding Network – a partner of Hub member DCHI – is offering a complementary ticket to its upcoming “Holistic Fundraising & Mentoring” Certificate Training Program taking place on May 8th , 9th and 10th at The Hague Humanity Hub. Transforming for impact with Rt Hon. Helen Clark. How can governments achieve our SDGs? Join our discussion with former Prime Minister of New Zealand, Helen Clark moderated by Leadership4SDGs Foundation President Simone Filippini. Helen Clark’s career encompasses over 27 years in politics during her tenure as both a Member of Parliament and Prime Minister in New Zealand. She then went on to spend 8 years as Administrator of the United Nations Development Programme. Since leaving her position at the UNDP Helen has devoted her time to promoting peace, justice, gender equality, good governance and climate action, issues very close to her heart. Simone Filippini’s has spent her career dedicated to humanitarian projects, democracy and diplomacy. Now, as the current President of Leadership4SDGs systematically supporting government political leadership and through that aims to contribute to achieving #Agenda2030. On April 15 Helen Clark will talk with Simone Filippini, sharing her experience and ideas, on Social Development Goals. Don’t miss this opportunity to deliberate, discuss and question Helen on SDG leadership! 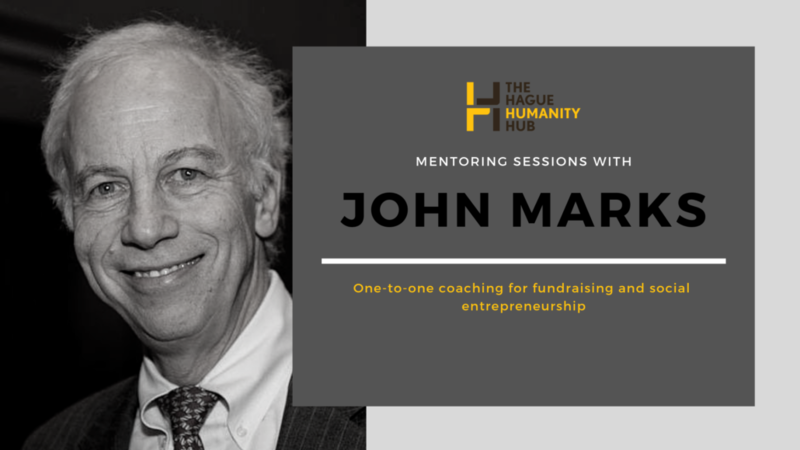 We are happy to announce that new dates are now available for one-one mentoring sessions with John Marks. John is Senior Advisor and Founder of Search for Common Ground. He offers his 4 decades years of experience as an entrepreneur who founded and built the largest peacebuilding NGO in the world. John is also a Skoll awardee and Senior Ashoka Fellow and award-winning bestselling author. John is available for presentations and mentoring in the areas of basic principles of social entrepreneurship and/or fundraising. 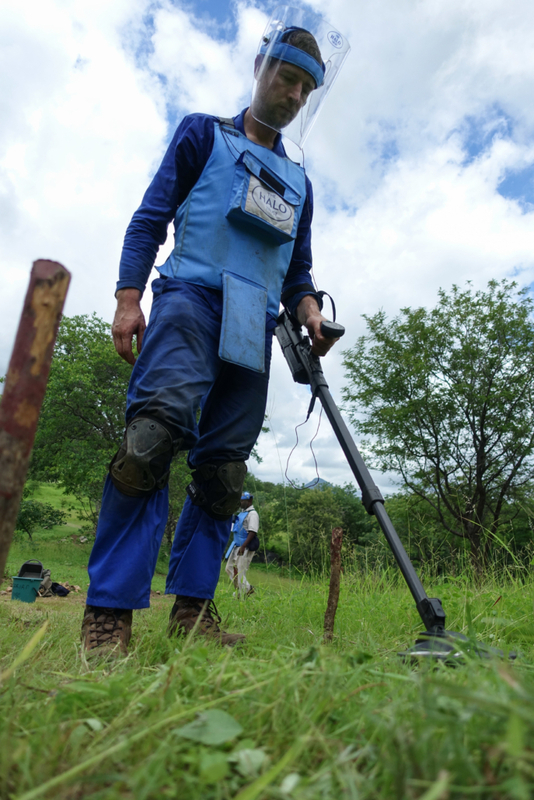 Search for Common Ground is an international non-profit organisation operating in 36 countries whose mission is to transform the way the world deals with conflict away from adversarial approaches toward cooperative solutions. 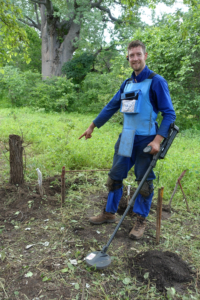 Diderik van Wingerden is one of The Spindle‘s swarm members, who keeps us sharp and reflects on our work. Recently, he was our expert that led the Future Session ‘Open Innovation & Open Design’. He is also a Humanity Hub member. Diderik has a proven track record working as Technical Project Manager and Digital and Open Innovation Consultant, mostly in The Netherlands and to a lesser extent abroad. His background lies in Computer Science, Business Economics and Lean Innovation. Currently, he’s redirecting his work towards ‘social innovation’, especially aimed at addressing global problems related to food, water, energy, housing, healthcare and digital infrastructure. Believing that his experience and network can be of value, he also understands that there is much more to learn within this field of work. Therefore, he offers his skills and time (4 weeks!) to contribute to an innovative initiative – “in any way that we together find it to be valuable”. Get in touch with Diderik by e-mail: diderik@think-innovation.com or phone: +31(0)6-21639148. For more information is on his website. The Hague, 25 February 2019 – Today at the Mobile World Congress (MWC) in Barcelona, Kumbaya Inc. announced the opening of its new European head-office in The Hague. The business ecosystem of The Hague has made a great impression on Kumbaya with its business value and now Kumbaya’s European office can call The Hague Humanity Hub – a community of innovators in peace, justice and humanitarian field – a home. Welcome to The Hague! “Today Kumbaya – an IT company from California – officially announced they will set up their European office in The Hague. 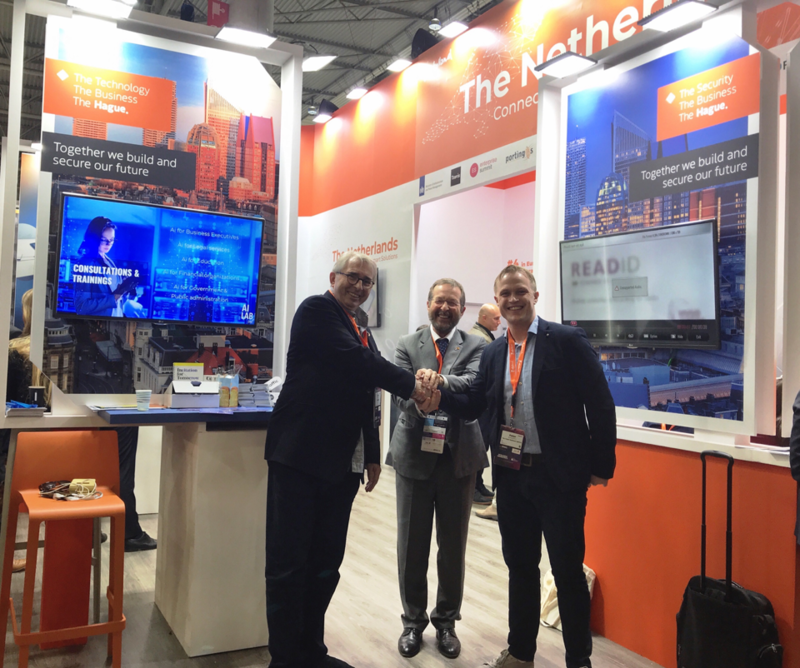 We met with Kumbaya here at the Holland Pavilion of the Mobile World Congress over the past years, where we informed them about the Dutch High-tech ecosystem & business opportunities our country offers to innovative technology companies. We are proud that our Investinholland program led to these new Foreign Investments in to our Country. As Ambassador I would like to officially welcome them to the Netherlands!”, says the Dutch Ambassador to Spain, Mattijs van Bonzel. Following the Meeting with The Hague Business Agency (THBA) at MWC 2017, Kumbaya learned of the great environment The Hague has in place for businesses of global social impact and the multitude of opportunities available to the company through an expansion in the Netherlands. The Hague runs a unique program on impact economy – ImpactCity – carefully designed to facilitate businesses that work on innovations for a better world to start up and scale up by providing access to a comprehensive business and impact investment network. THBA has set up a fact finding trip for Kumbaya to join the ‘Impact Startup fest’ initiative of ImpactCity and the biggest festival for impact-makers in Europe, as a delegate in 2018 and in close collaboration with The Netherlands Foreign Investment Agency office in San Francisco – a tailor made program was created to assist Kumbaya with all the necessary information for the company to open its office in world’s first ImpactCity: The Hague. “I am proud to welcome Kumbaya to our city. The Hague as an Impact City has a large international community of social innovators. The city is also traditionally known as ‘Telecom-capital’ of The Netherlands. The establishment of Kumbaya in The Hague is a wonderful crossover between these two areas. I am sure Kumbaya has chosen the perfect ecosystem for their next step.”, says Deputy Mayor of the City of The Hague, Saskia Bruines. “There are several factors that played a key role in our choice for establishing our European head-office in The Hague. The ImpactCity program of The Hague includes a highly relevant network of humanitarian and like-minded organizations, a friendly business environment, people and events. Moreover, The Netherlands is the perfect gateway to reach our core market in Africa.”, says Mike Freni, CEO of Kumbaya. Kumbaya is now readying to kickstart trials to fill rural connectivity black spots with its award winning zeroXess Solar-Powered, Communications and IoT Solutions Hub in Ghana and Malawi. The company aims to connect 15,000 households in 2019 to test the technology commercially. With plans for a full rollout in the region, the trial will demonstrate the scalability and sustainability of its unique business model in addition to testing the localized content delivery platform that is tailored to address the customer needs including both the end user and the network service providers, ultimately creating a win-win for all parties involved. Based in Palos Verdes, California, Kumbaya is a tech for good company and a real humanitarian innovator that develops and implements innovative IoT solutions to end poverty. Kumbaya’s mission is to create sustainable solutions that enable the under-served, unconnected people of our world to transform their lives. With this in mind Kumbaya has developed its core product zeroXess, which brings power, connectivity and knowledge content to off grid populations through IoT solutions. zeroXess is a solar-powered home energy and communications platform that is affordable, reliable and sustainable, to ensure there is always electricity, light, connectivity, and access to the information of the world.